Ignition interlock devices are put on people’s vehicles to prevent them from being able to start and operate the vehicle when they have any alcohol in their systems. While these devices work by requiring motorists to submit breath samples to start vehicles, they also require drivers to continue to submit breath samples as the vehicle is running. In this three-part blog series, we will highlight some important facts to know about ignition interlock devices for DUIs in Colorado. If you or someone you love has been arrested for or charged with drunk driving, don’t hesitate to contact the Griffin Law Firm for the strongest defense. Fact 1 – The laws regarding ignition interlock devices for DUIs in Colorado have changed as of 2014. 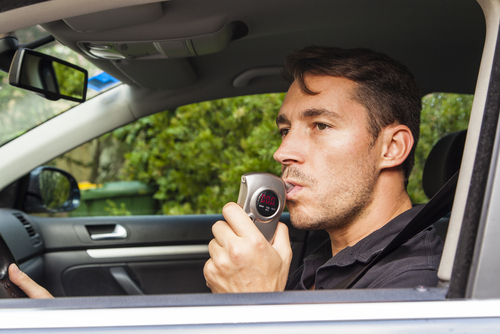 The laws regarding ignition interlock devices for DUIs in Colorado have changed. Here’s what you need to know. Call us for the strongest defense against DUI charges. Drivers who refused to submit to blood alcohol content (BAC) testing before 2014 and who had been ineligible to reinstate their licenses early through the use of ignition interlock devices may now be able to apply for early driver’s license reinstatement by having an ignition interlock device installed on their vehicle for at least one year. These drivers are not eligible for financial assistance. Defined people who refuse to submit to BAC testing on or after January 1, 2014 as persistent drunk drivers. Fact 2 – A state-approved vendor must be used to install and maintain ignition interlock devices. People can’t just go to any retailer to have ignition interlock devices installed in their vehicles. They are specifically required to go to a state-approved vendor, and the court can provide people of a list of these vendors. We will continue to point out some important facts to know about ignition interlock devices for DUIs in Colorado in the second and third installments of this blog series that will be posted soon. Be sure to check them out! Have you or someone you love been charged with drunk driving? If so, the Denver and Boulder metro area DUI defense lawyer at Griffin Law Firm is ready to immediately start providing you with the strongest possible defense.